Thank you everyone who entered my very first giveaway this last week. Today we start the entry process for giveaway number 2. Click here to enter the Rafflecopter giveaway or check out the “Giveaway” tab on my facebook page (facebook.com/nerdyathomedad). You can add entries every 24 hours, so make sure you are checking back daily for more chances to win. This week’s blog post will be about movies!!! Out of Marvel and DC, who has the better movies? Which is your favorite? Today I am pleased to announced that I have been working with the great team over at Salt Lake Comic Con to put together something pretty amazing, one of which is this giveaway. 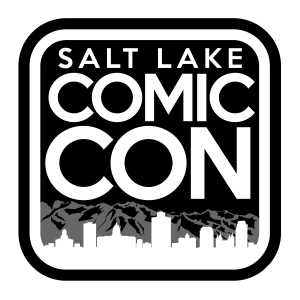 I will be giving away a Salt Lake Comic Con Thursday Pass every Wednesday through the month of August. 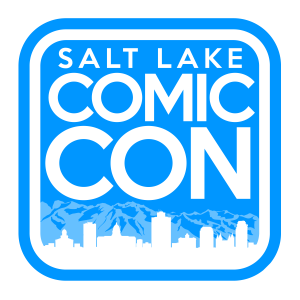 Salt Lake Comic Con 2014 is taking place September 4-6 at the Salt Palace in Downtown Salt Lake City. There have been so many amazing celebrity guests announced (Stephen Amell, John Barrowman, Manu Bennett, Eliza Dushku, David Morrissey, Jason David Frank, Hulk Hogan, Christopher Lloyd, etc. ), and there are more on the way. There will be comic book creators, authors, and much more ! You won’t want to miss out on this amazing event. Congrats Cheryl C. on winning the first giveaway!!! Be on the look out for Giveaway 2 coming starting later today!!! Who would you like to see at Salt Lake Comic Con 2014?